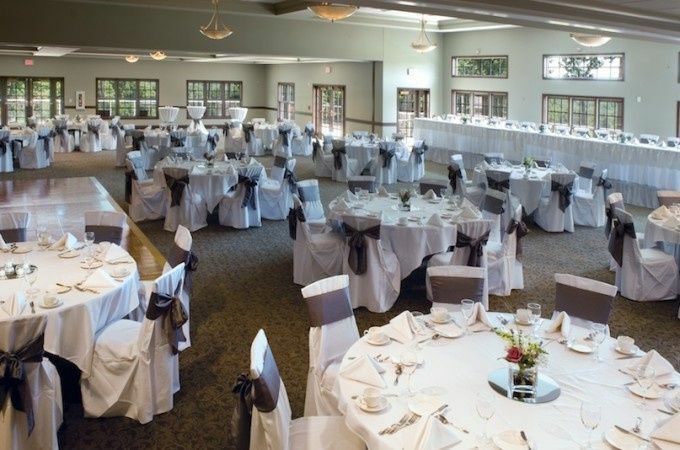 For a classic and modern wedding venue, check out Thousand Oaks Golf Club in Grand Rapids, Michigan. High ceilings and oversized picture windows adorn the ballroom and outdoor verandas open up for breathtaking views of the golf course. 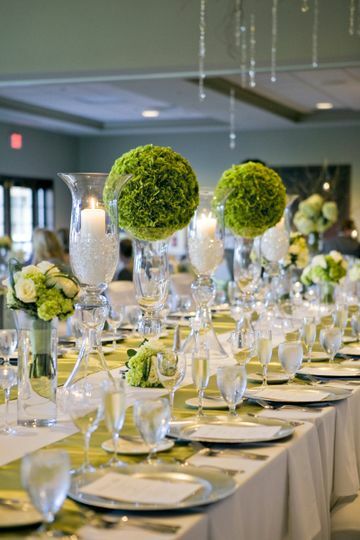 If “unforgettable” is the feeling you’re after, consider the personalized services at Thousand Oaks Golf Club. 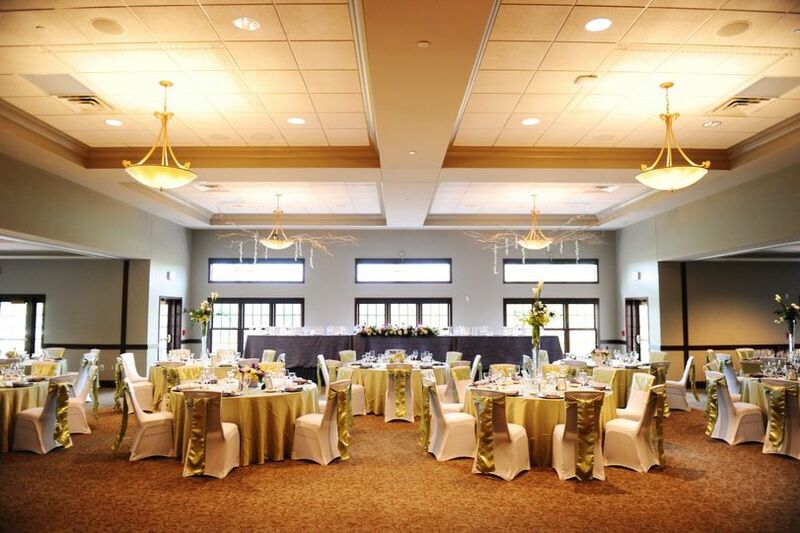 The ballroom within Thousand Oaks Golf Club can hold up to 400 wedding guests. 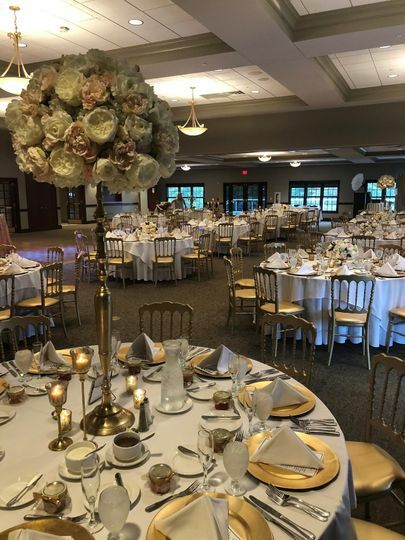 In addition, the experienced wedding specialists can help you maximize the space and choose where to host the ceremony, cocktail hour and reception among their four event spaces. 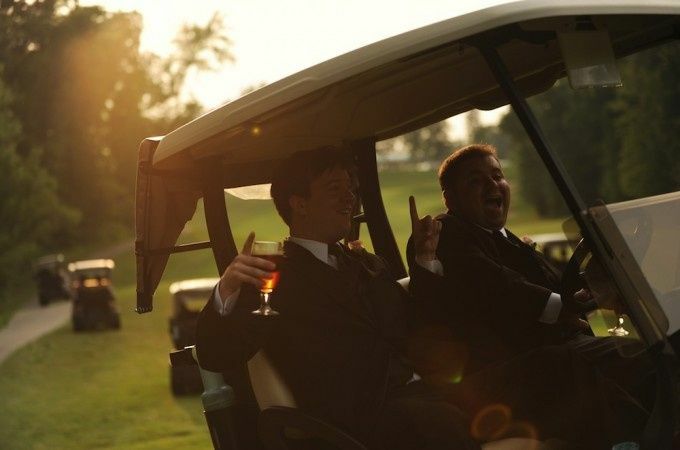 Thousand Oaks Golf Club is located minutes from downtown Grand Rapids near cultural attractions, shops and restaurants. It’s also a short commute to Lake Michigan. Everything about Thousand Oaks was wonderful. Working with the events manager was so easy. Food was wonderful, service was wonderful, and my wedding went so smoothly. I had a wedding in late March and a live band. Love this venue!!! Thank you for the review Caitlin! It was a pleasure working with you and your family. Wish you and your husband the best life has to offer. We got married at Thousand Oaks in June of 2017 and could not have been happier. We worked with Nicole Ames, who was a Godsend throughout the entire process. She was so organized, thoughtful, kind, and responsive to every question or concern we had. 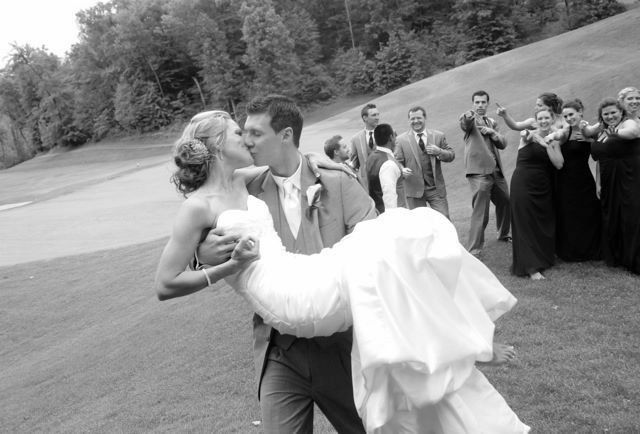 The staff was incredible and treated our guests very well, especially the wedding party/family. The only issue we had was the pieces of cake being taken away too early, but in the grand scheme of things that is extremely minor. 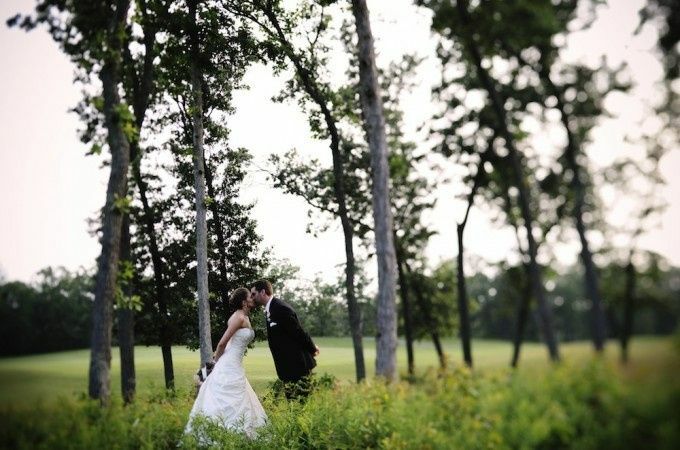 The venue was gorgeous and made for some wonderful pictures and memories we will cherish forever. We decided to have our ceremony indoors as to put weather concerns out of our mind. They were able to use 1/3 of the reception hall for the ceremony (seated 170) and only needed 30-45 mins of teardown/setup time between ceremony and reception, to which we used the beautiful wrap-around deck and yard space for the cocktail hour. We used a mobile bar for the cocktail hour (extra cost, but not expensive) and 2 bars (no extra cost) for the reception. One of the selling points was the ability for the wedding party to be able to get ready on site in the locker rooms located upstairs. Both the men's and women's locker rooms had plenty of space to get ready (our party had 7 on each side). The staff stated that the locker rooms are open to the public, however only a small handful of people briefly walked in when we were getting ready and were not a problem. Both locker rooms were newly renovated and looked incredible. Our guests have complemented the most on the beauty of the outdoor cocktail hour, the reception hall, and the FOOD! The food Thousand Oaks provides is amazing and we still dream about it! We cannot say enough good things about the venue, but honestly Nicole was the best part. She helped put us at ease so many different times throughout the entire process and was so wonderful to work with. 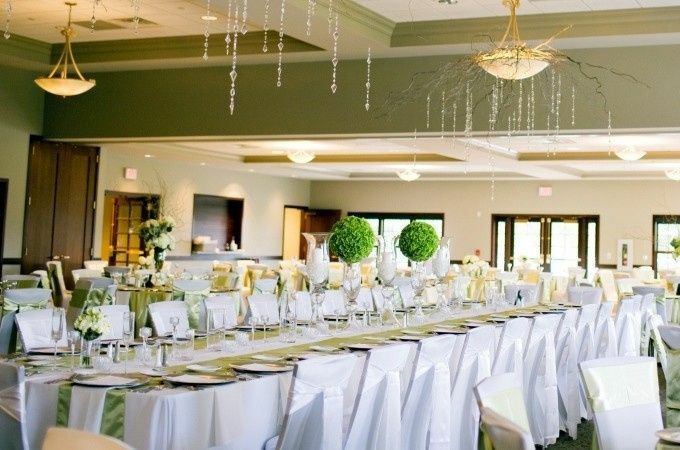 We would recommend this venue to anyone for any kind of event, wedding or otherwise! Everything went absolutely perfect. The people were amazing and fun to work with. The place stunning. We could not have asked for anything to go any better.